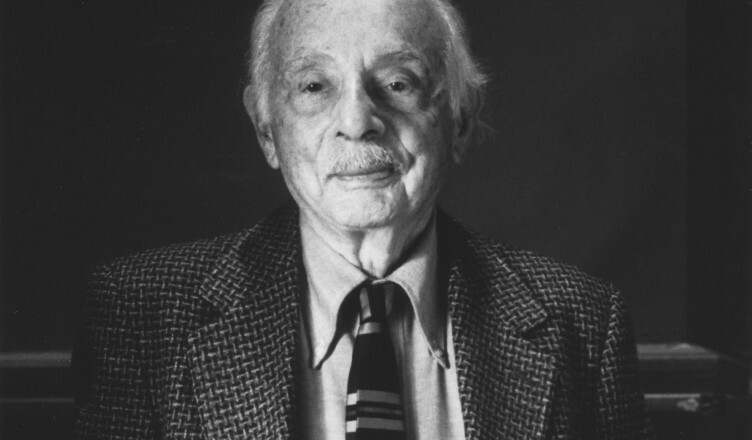 Although I know the month and the day, I don’t know the year I discovered Stanley Kunitz’s poem ‘The Abduction’. His name was familiar to me. I loved his poem ‘Route Six’ with its seal-like cat called Celia on her way to the Cape, but I hadn’t ventured further. Then roughly one decade ago I received a mailshot from the Academy of American Poets: July 2nd was National U.F.O Day in America. Links were provided to poems which included Denis Johnson’s fine ‘White Fires of Venus’ and ‘The Abduction’ by Kunitz which took hold of me with intensity and has never let go. Kunitz believed that the ending of a poem should be both a door and a window. My first reading of ‘The Abduction’ opened the door to his relatively slim Collected Poems (Norton, 2001) followed by the essays from his collection Next To Last Things: New Poems & Essays (Atlantic Monthly Press, 1985), and then anything I could find on or by him. Later…I began to worry about the running down of the universe. I still do. When I read about the latest galactic probings, I get what can only be described as a metaphysical shudder. I don’t need to partake of magic mushrooms to see Shakespeare, Mozart, Michelangelo, Jesus, Buddha, you, me, everything we love, all the works of man, his cities and his dreams, pouring through a black hole in the universe hell-bent for annihilation. Time is shorter than Newton knew. What do you suppose motivates our space explorers? They may not admit it or even realize it, but they are trying to find a way to escape from the solar system before it is too late. It is the greatest of all human adventure. I myself received a metaphysical shudder reading this. Kunitz has the power to open the windows and doors of your own house – the wind and sky come pouring in to shake you up. The ending of his poem ‘Robin Redbreast’ starts conventionally enough by describing the pathos of a dying bird but suddenly takes surprising wing, forcing the reader to look down the tunnel of the bullet hole in the robin’s head, see ‘the cold flash of the blue unappeasable sky’. to make the story real. Some of the phrases – ‘the leather shrouds’, ‘stretched on his rack’ – reminded me of the stag in As You Like It, Shakespeare’s ‘burgher’ of the forest who did ‘stretch his leathern coat’. In ‘The Abduction’, it is the poet’s lover who is stretched on his ‘budding rack’ of horn as she is followed by a ‘dumbshow retinue’. Shakespeare’s Forest of Arden is also a place for lovers and magical adventures but the ‘dumbshow’ conjures up Hamlet and it is this play that reflects the open-ended complexities of Kunitz’s poem. There is no happy comedic resolution in Kunitz’s forest but some kind of penetration with consequences that ripple outwards, just as surely as the penetration of the king’s ear in the walled garden of Hamlet results in a cover-up that will not stay covered. We are back to the original Fall in the Garden of Eden with its strong sense of shame. The fact that we’re not sure what happened in Kunitz’s wood – a place of transformations representing our own inner wilderness – heightens the sense of transgression. Munch’s method which allows the rough wood grain to show in the final print feels doubly close to Kunitz who was also an artist and sculptor, believing that poets should work with their hands as well as their heads. That cluster is the key to one’s identity, the purest concentration of self. Poetry happens when new images or sensations are drawn into the gravitational field of the old life. One of the documents in the book is the transcript of an hypnotic session with a subject named Virginia, detailing her encounter in a glade with ‘a beautiful deer…a mystical deer’. The image of an alien posing as a deer ignited Kunitz’s imagination and even though that image was merely a springboard for dealing with other experiences, I was hungry for more. More of what, I wasn’t sure. I ordered the Budd Hopkins book. I was ready to be open to anything. Why should we be the only intelligent life in the universe? I’ve wondered too, if the accounts of abductions where the aliens coldly probe helpless people are hallucinations punishing we humans for coldly experimenting on animals. I never really took them seriously. And yet somehow, after reading Hopkins, I became so convinced of the existence of UFOs that I was hurled back into a second childhood. I lay in my bed in London in the grip of old irrational fears, every sound in my creaky Georgian wreck a potential ‘intruder’. I could have been back in my childhood bed in County Cork, afraid to go to the bathroom in case I saw the Devil in the mirror. And how did I make it stop? It’s hard to say. I remember very little of Hopkin’s book now but I do remember telling myself that every adult who claimed to have been visited had already claimed to have been taken as a child. And so, according to this reasoning, I would not be visited. It helped when I heard Kunitz say in a recording of ‘The Abduction’ that he didn’t believe in aliens either – though I wasn’t completely convinced that he didn’t. I put away Hopkins and now if I hear an eerie noise in the garden, I’m able to presume it’s our growing population of urban foxes. For now. The poet Stanley Moss has said that although there is ‘no echo’ of Dante in Kunitz’s work, there is ‘kinship’. I feel that kinship too. Like Dante, Kunitz’s poetry is cosmic, terrifying, consoling and beautiful. It obeys his own rule for the best poetry – it never gives up its secrets even as it opens its doors and windows and I want to race around like a child, checking out all the views. Martina Evans grew up in County Cork and trained in Dublin as a radiographer before moving to London in 1988. She is the author of twelve books of poetry and prose. Her most recent collection, ‘Now We Can Talk Openly About Men’, was published by Carcanet in May. She has won several awards including the Premio Ciampi International Prize for Poetry in 2011. ‘Burnfort, Las Vegas’ (Anvil Press, 2014) was shortlisted for the 2015 Irish Times Poetry Now Award. Her short story ‘Mountainy Men’ was the recipient of a Grants for the Arts Award in 2015. 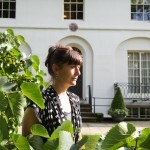 She is a Royal Literary Fund Advisory Fellow and reviews for the Irish Times.